A new Waitrose promotion is under way and runs through to 19 February. This retailer’s offers sometimes seem text book examples of how it should be done – with an eclectic mix of regions, styles and prices yet containing only a small proportion of branded wines. Here are my top picks – including a trio of reds at £5.99 – along with some really impressive whites. Also featured today is our Top Tip on organic wine and the usual Best of the Rest selections (from £5 upwards). As ever, you can use the pictures next to description of a wine to find the wine in store. As a grape variety terret is not on everyone’s lips but the wine it makes really should be. Once a Languedoc stalwart, fewer vines survive these days but this bottle from the acclaimed Calmel & Joseph operation will win many friends especially among those who enjoy white wine with savoury influences. 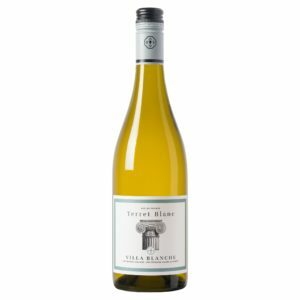 Textured and with a long finish 2017 Villa Blanche Terret Blanc (£7.49 – instead of £8.49 until 19 February – at Waitrose and 12% abv) has impressive green apple, quince and under-ripe melon fruit kept fresh by bold citrus peel acidity and underpinned by suggestions of sherbet. My “Magic Bullet” section steals that term from the medical profession who use it to signify something delivering benefits without side effects. Here, it means wine that tastes good and makes you look savvy but avoids the side effect of costing a lot. Well made white burgundy is always popular and the lighter, more straight forward versions from the southern end of the region provide clean, fresh (if not especially sophisticated) versions that hit the spot for many of us without an excessive outlay. 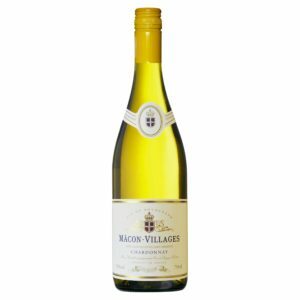 A well known co-operative in Macon gives us exactly that with 2017 Cave de Lugny Macon-Villages (£7.99 – instead of £9.99 and 13%) where smooth grapefruit and white peach fruit are skilfully embellished with lively acidity, spice and a vague nuttiness. While chardonnay from Burgundy has a style of its own (as the last wine illustrates) Gisborne – on the eastern edge of New Zealand’s North Island – is also prime chardonnay country that is acquiring an increasing following. For a textbook well defined, uncomplicated example, seek out 2017 Paikea Chardonnay (£7.49 – instead of £9.99 and 13.5%) with its soft apricot and apple fruit, lime acidity, crème fraiche texture and concluding touches of toast, butter and vanilla. I praised this white just before Christmas as it is one of the best mid-priced versions of gruner veltliner around at the moment but it is an absolute snip at under £9. As I said last time “Enjoy the soft apple and spice elements of 2017 Felsner Grȕner Veltliner Moosburgerin (12.5% abv) [now £8.99 – instead of £11.99] with its textured (probably partly lees derived) mineral depth yet fresh and lively acidity too”. For the first of three reds all priced at £5.99, try this option from Toledo – just south of Madrid – as a companion for heartier meat dishes, just as its name seems to claim. 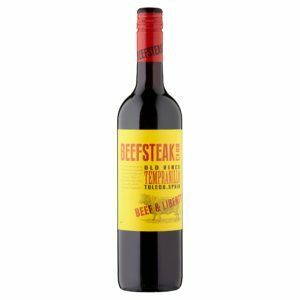 Dark and intense, 2018 Beefsteak Club Tempranillo (£5.99 – instead of £8.99 and 13.5%) has plum and sour cherry fruit with firm tannin, good acidity, a neat graphite edge and hints of cocoa, mint and cloves. Remaining with tempranillo, this organic Castilla La Mancha version is rather lighter in texture than the Beefsteak Club although the alcohol level is the same. 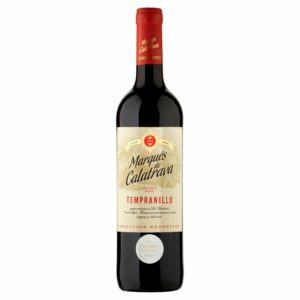 Vaguely floral with only light tannin 2017 Marques de Calatrava Organic Tempranillo (£5.99 – instead of £7.99 – and 13.5%), nevertheless, has bold (cherry based) fruit but with a savoury finish, mild acidity and suggestions of pepper and cinnamon. Reflecting modern winemaking styles, the next choice – a cabernet sauvignon – is mostly matured in stainless steel rather than oak although a small proportion does go into barrel for a while to smooth things out. Light in style but with a long finish,2016 Tempus Two Silver Series Cabernet Sauvignon (£5.99 – instead of £7.99 and 13.5%) has cherry and loganberry fruit accompanied by chocolate and baking spice elements, firm tannin but good acidity too. I am guessing that the catarrato grape plays a part in this great value Sicilian white demonstrating perhaps that even so-called “workhorse” varieties can raise their game significantly when skilled winemakers get to grips with them. 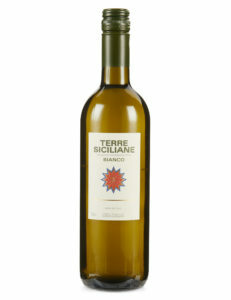 See what I mean from the soft and slightly spicy 2017 Bianco Terre Siciliane (£5 – instead of £6 until 4 March – at M&S and 12%) with its apple and pear depth, fresh lemon acidity and ripe tropical fruit edges. Perhaps catarrato can follow the example of an increasingly popular Sicilan red – nero d’avola and rise from the ranks of “also rans” to become the source of successful and sought after wines. Once you move beyond its slightly unusual nose, an impressive combination of good acidity and restrained tannin is readily apparent in 2016 Corolla Nero d'Avola (£6.99 at Majestic as part of a mixed six elsewhere and 13%) and neatly supplements attractive plum and blueberry fruit with built-in chocolate and cinnamon depth. As one brought up close to the first vineyard named below, I was intrigued to find out what is happening about organic vineyards this side of the Channel. “To experience what the best natural balance is all about, you should head to one of the UK’s growing number of organic vineyards to see things for yourselves. It’s here that nature thrives, largely because of the absence of toxic chemical sprays like pesticides, herbicides and fungicides. Proper organic wines and their vineyards are certified usually by the Soil Association, which is the UK’s leading organic control body; biodynamic vineyards tend to be certified by ‘Demeter’. Since going organic can be harder work with increased risks of crop failure, why do it? The reason is seldom just commercially driven, but more about protecting the environment and health of the vineyard workers (and visitors! ), and equally about growing the best quality possible grapes. Well balanced, ripe grapes make great wines with real character, that are good to drink and easy on the body and head. There are three well known, established organic vineyards in the Kent and East Sussex region alone; all produce quality sparkling and still wines. Sedlescombe, is the oldest followed by Davenport (who have just won Drinks Business Magazines Sustainability Award 18/19) and Oxney vineyard (who also offer superb accommodation). For Londoners, head to Forty Hall Vineyard in Enfield, which is the first London vineyard to be planted since the Middle Ages. Run and managed by local people, it is a social enterprise and also includes a mixed farm and market garden, with rare breed animals too. It has superb sparkling and still wines for sale. Albury vineyards in the Surrey Hills near Dorking, are farmed both organically and biodynamically, and make award winning sparkling white and rosé fizz, along with a still rosé called Silent Pool. Here they are well set up to receive visitors, with a tasting room, and you can enjoy a cheese platter or take a vineyard tour at the same time or get involved with one of their many events, from opera in the vines, to pruning! Organic vineyards are literally buzzing with life, and are havens for nature, and very fine wines too! If you are getting the organic buzz, then you can also visit us at www.vintageroots.co.uk where you can buy and mix cases of many English organic wines, and choose from a wider worldwide selection of around 400, as well as organic beers, ciders and spirits. Love your site and the wines you’ve encouraged me to try, but can I make a suggestion? I think the site would be even better if you tagged your posts by the shops mentioned. For example, I only shop at Aldi occasionally, but I know that when I’m in there it’s worth having a look for a bargain wine. It’d be great if I could pop on your site on my phone and pull up all the Aldi posts to quickly find something to look for (even if the special offer has passed). My son keeps pestering me to take this step so your suggestion could be the catalyst to take the necessary action; thank you for raising the point (and for your kind comments about the site). Your last point is one concern I had about doing so but it is helpful to hear that you don’t think featuring expired promotional prices would be a problem. My wife and I tried the ‘Marqués de Calatrava Organic Tempranillo’ and I must say we were pleasantly surprised, As you say it’s light and fruity, didn’t feel like a 13.5% abv wine, for me, more like a Garnacha than a Tempranillo but it was enjoyable enough for the price. It was the lightness of the texture that surprised me – you hit the nail on the head with your suggestion that it is more like garnacha than tempranillo. Still nice, gentle everyday drinking though -as you say.